Available in Ground or Whole Bean. 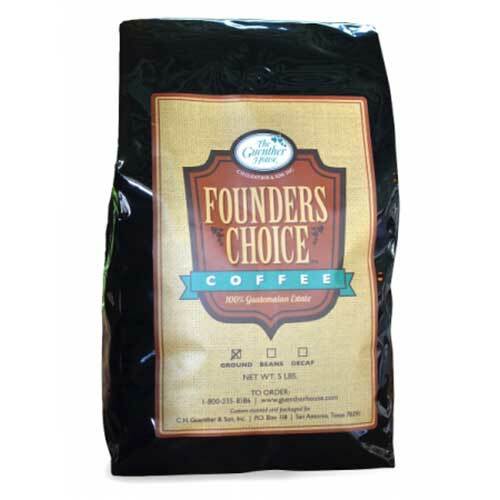 Our Founders Choice blend of coffee is made from hand-selected Guatemalan estate beans, medium-roasted to bring out their richness, then gently blended with five flavors for a unique, rich taste. The taste is well-rounded; an excellent balance between acidity and deeper, spiced chocolate flavor notes. Available in whole bean or medium grind. Chocolate, Cinnamon, Hazelnut, Pecan & Vanilla. 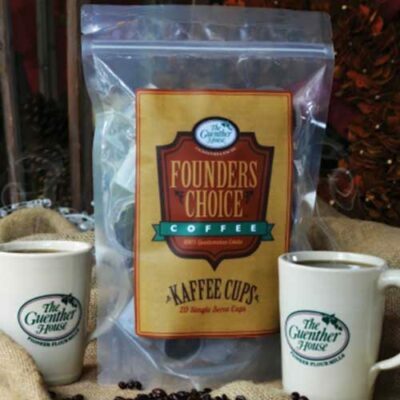 I visited the Guenther House and enjoyed this coffee while eating breakfast. I am not one that usually likes flavored coffee, but this coffee is outstanding. 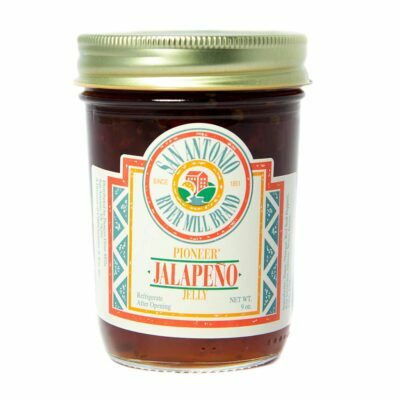 I enjoyed it so much I bought whole beans to bring with me home to Houston. Try it you will enjoy! Found a bag in my freezer, not sure where it came from. Decided to grind the beans, WOW what a great aroma and taste is superb. Will be purchasing some more. We absolutely love this coffee. The flavor is so bold and delicious that it is best black. 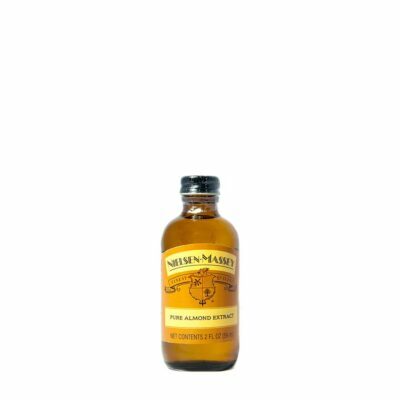 Anyone who has tried it, loves it. We have gotten so many people hooked on this coffee. We order the 5lb bags ground and then vacuum seal in smaller bags and freeze to keep it fresh. Thank you Guenther House for providing such incredible products. This is by far the best coffee we have ever had. Smooth great flavor!! We love this coffee! Great flavor, grinds well, can’t say enough good things about it. Best coffee I have ever had! We drink this exclusively. We discovered the Guenther House on a trip to San Antonio about 5 years ago. We absolutely loved the coffee (and the oatmeal pancakes!). 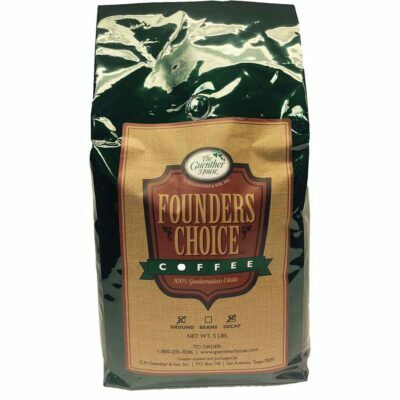 We have been buying the coffee online and having it shipped to Michigan ever since! 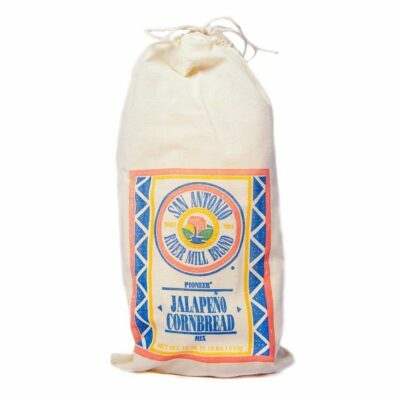 We always order extra bags to give as gifts to our friends and family. Favorite blend since our visit last February… left with a lb, now 5lbs is not enough! Gotta try it!! Got this coffee as part of an in office gift basket, no one had taken it so It was given to me. BEST GIFT I ever got, love this coffee so much!! !